Home » Blog » Give me your best rate. Give me your best rate. 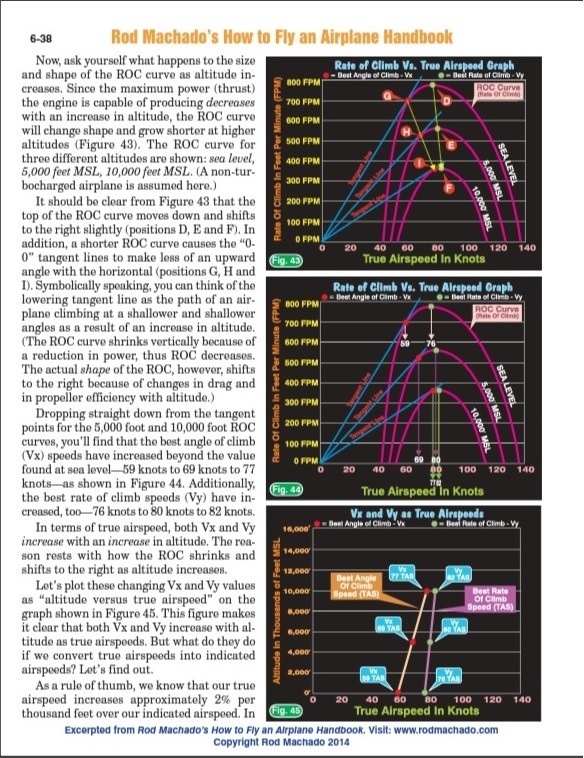 The topic of what is best rate of climb speed for a particular aircraft came up recently. I saw quite a conversation of “what she likes best” that differed from what the manufacturer and its engineers through precise mathematical computation know the aircraft will do given a properly functioning engine and airframe. Granted, the numbers computed were usually for an aircraft that did not have its door removed or extra bars and steps attached to manage the activity of flying skydivers. This topic is of great importance given that 95% of our flight is in the climb! The efficiency of how you perform your job directly affects the bottom line of the dropzone owner who pays your wages. 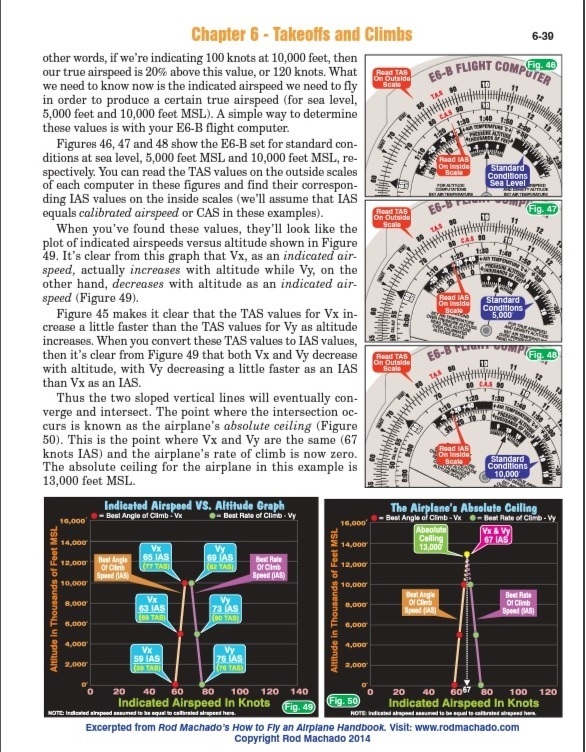 While doing some internet searching on the topic of Vy and how the INDICATED airspeed changes as you climb, I came across an article by world-renowned flight instructor Rod Machado. His article on Vy and Vx gives a clear and concise explanation and is a great refresher of the topic. Even as a seasoned 13K hour ATP I learned something. 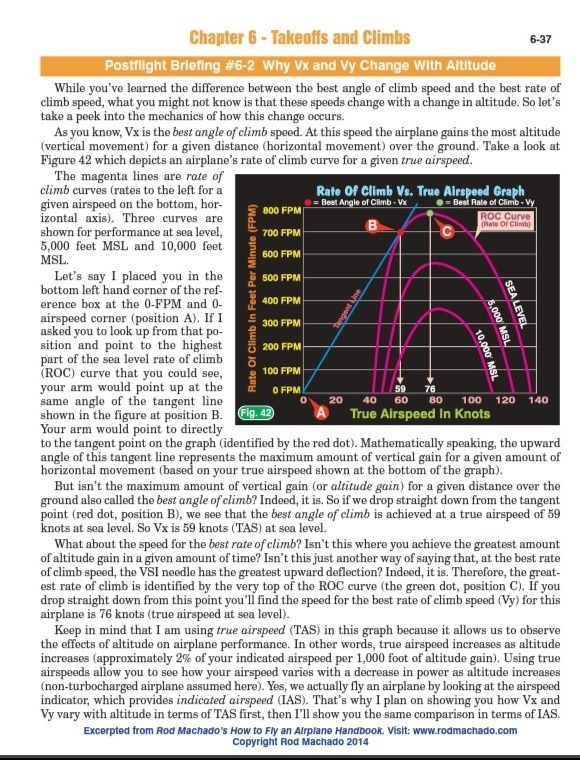 Rod has graciously granted permission to add this article to DiverDriver.com and to be added to the Training section of this website. Please check out Rod’s new book: Rod Machado’s How to Fly an Airplane Handbook. You may think this topic is elementary, but it is fundamentally vital to understand and reviewing it is essential. More loads per day, less fuel burned per load, less wear on the aircraft means a happy DZO and greater pay for you. Click on each picture to get a better view.